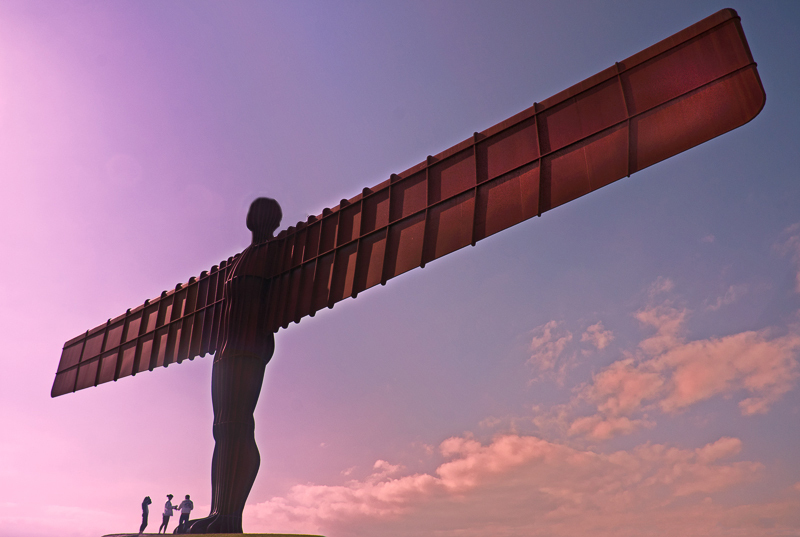 The first time I visited the Angel of the North was on my way home from a trip up the North East coast to Lindisfarne and Bamburgh etc. There were quite a few people around and most were taking pictures from straight on to the Angel. I joined in and took the same, straight on view as a record shot. 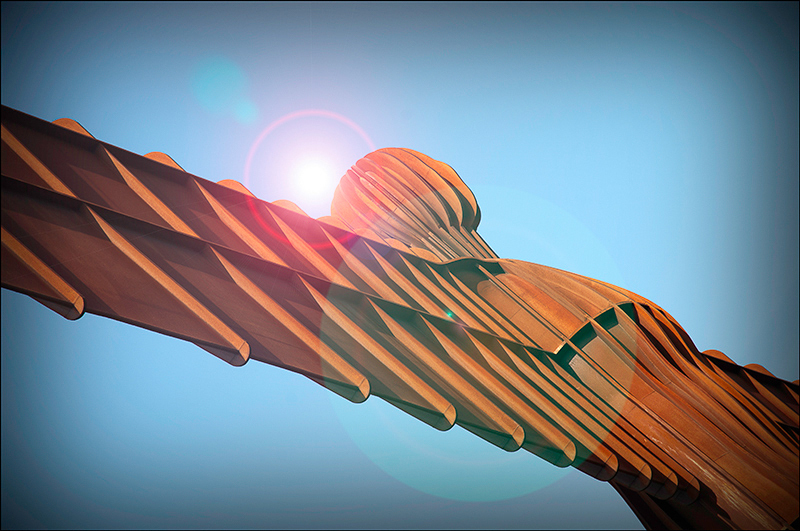 Practically no-one was looking for a different angle on the Angel. I walked around for a while and took several shots from various angles. Here is my straight shot and a couple of different angles, one with a wide-angle lens and one with a longer lens for detail. It is usually worth while taking the time to wander around your chosen subject to find different interpretations of whats there. The third one is probably my favourite from the shoot that day.